The Senate returns on Wednesday. The chamber will begin its short work week with the nomination of Marvin Quattlebaum to serve on the U.S. Court of Appeals for the Fourth Circuit. A vote to invoke cloture will happen around 5:30 pm. The Senate Judiciary Committee announced that confirmation hearings for Judge Brett Kavanaugh will begin on Tuesday, September 4 when members of the committee will be allowed to make opening statements. On Wednesday, September 5, the committee will hear testimony from those who know Judge Kavanaugh and other interested parties. The hearings are expected to last three or four days. The hearings will begin 57 days after Judge Kavanaugh’s nomination to the Supreme Court. Two weeks ago, President Trump met with Sen. Chuck Grassley (R-Iowa) and other key Senate Republicans to hear their pitch on potential sentencing reforms to add to the prison reform bill, the FIRST STEP Act. Those pitched, and given the thumbs up by the president, are reforms to 924(c) stacking, a fix to 841/851 enhancements, expansion of a federal safety valve, and retroactivity of the Fair Sentencing Act addressing the sentencing disparity between crack and powder cocaine. The committee has received more than 184,000 documents related to Judge Kavanaugh’s work in the White House under President George W. Bush and the Office of the Independent Counsel under Ken Starr. The committee has released nearly 88,000 pages of documents related to Judge Brett Kavanaugh work. Last week, President Trump brought a bipartisan group of governors supportive of justice reform in their states to discuss and advance his federal justice reform agenda. A transcript of some of the meeting is available here. Notable among these governors was Gov. John Bel Edwards (D-La. ), whose reforms have drawn severe criticism from Sen. John Kennedy (R-La.) for political reasons. The president’s actions put direct pressure on Kennedy and other less-than-enthusiastic Senate Republicans to get behind the effort to substantially reform the federal prison and larger justice system overall. The Senate Commerce, Science, and Transportation Committee will hold an oversight hearing of the Federal Communications Commission (FCC) on Thursday at 10:00 am. FCC Chairman Ajit Pai and Commissioners Michael O’Rielly, Brendan Carr, and Jessica Rosenworcel are slated to testify. We expect the Restoring Internet Freedom Order, which rolled back the 2015 Open Internet Order, to be a big part of the hearing. The House met in pro forma session on Friday and will do so again this week. We don’t have the pro forma calendar, but we assume the days this week are Tuesday and Friday. Before the recess, House Republican leadership and the Ways and Means Committee rolled out the framework for “tax reform 2.0.” The centerpiece of the plan is making the individual tax rates and reforms, including the pass-through business deduction, permanent. The framework includes expansion of 529 education savings accounts, as well as a new universal savings account and a baby account. The committee hasn't announced a date for markup, but the bill could come to the floor as early as mid-September. Unlike the Tax Cuts and Jobs Act, this bill won’t be done through reconciliation. That means the 60-vote cloture threshold would apply in the Senate. It’s unlikely that there are enough votes in either chamber to pass a budget resolution with reconciliation instructions. There’s no indication that Senate Majority Leader Mitch McConnell (R-Ky.) will bring the bill if it passes the House. The blog is informative. A detailed description is provided for a clear view. Freedom works contributing to a major task. 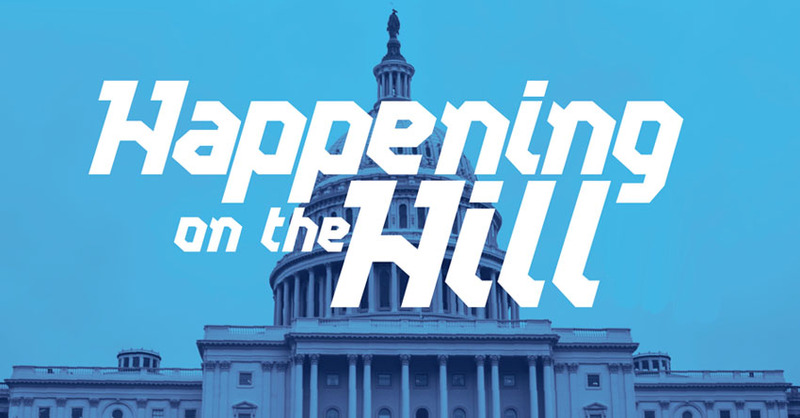 The updating of the hill they consider carefully and working for it http://howtofixprinterissues.com . Thank you for the effort you put.